Thursday again? So fast? 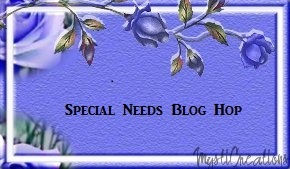 Welcome to week three of the Special Needs Blog Hop. Now, how the hell do I answer THAT? There is so much to love about both my boys. And I'm never good about these "the most" or "favorite" questions, because my brain is not really built for linearity and ranking. This is just one of the reasons it drives me crazy that Ethan is always asking them: "What is your favorite Pokemon?" "What TV show was your favorite when you were a kid?" "What is your favorite color? Your second favorite? Your third favorite?" And of course: "Who do you love more, Jake or me?" So I have a policy: I just don't answer those questions. Because in true ADD fashion, I view things more as points scattered across a field as opposed to in tidy lists. Yes, even my brain is messy. Although ADD leap-frog thinking does lead to insight and invention, it also makes it really hard for me to answer conventional questions simply. 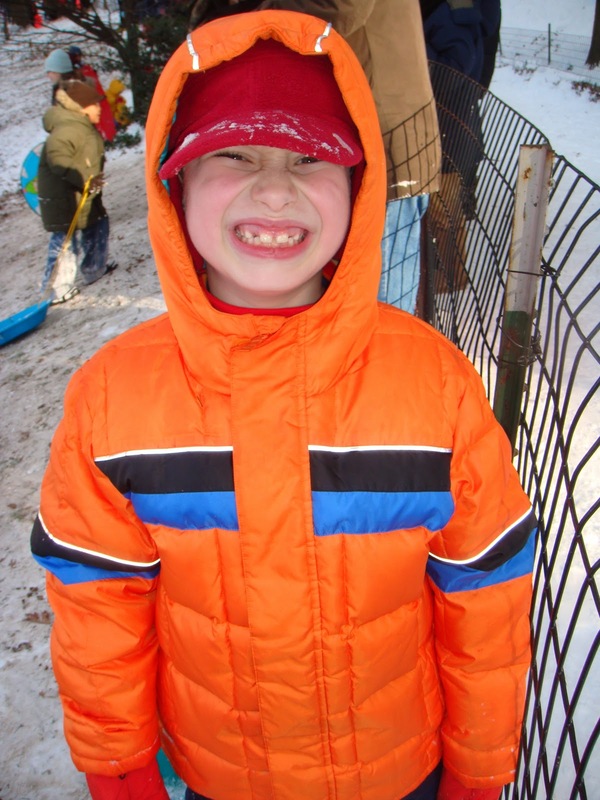 Filling out those essay style applications for special needs schools for Jacob? Pure torture. I would go on and on and never get to the point, then have to seriously trim and edit for days. Because they were asking me open ended questions like: "What are your child's greatest strengths and challenges?" And my view of Jacob is so complex and ever changing it is impossible to distill down to the basic and quantifiable. And then to be trying to be truthful about him while still making him sound like the perfect package, exactly what they want in a student (because the competition for these schools is fierce, you know)? I nearly broke out in hives last year over all this. And it did set me on the path to Momsomnia. So now I have been handed another of THOSE questions to be answered here, on MY blog? DAMN! Love that joyful Jacob boy! I came up with the question, and I couldn't narrow it down to just one thing. I listed several,lol. I just love my boy so much. That is a beautiful bu cheesy smile! bu=big. Cubby is helping me to type today. Agreed. This was a tough question, but I felt really good answering it! I also hate those form questions "What are your child's strengths and weaknesses?" Come on, really? I'm his parent. I could go on forever. Dani's right though. The nice part about answering this was it was all good stuff. Took a nice minute to celebrate my favorite thing. It is tough... I can't say what is "most" either, as everything is equally loved about them. I'm a bit ADD too; maybe a bit more than a bit... I did what I could with it! I hate those questions, too. Ugh. Love the smile, though! And those eyelashes? Oh my goodness! Gorgeous! 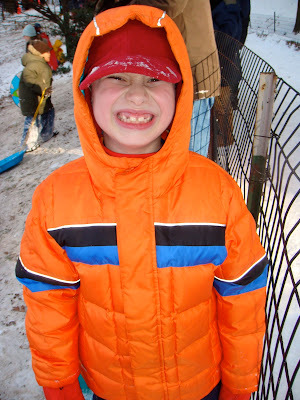 That cheesy smile is precious :) Thanks for joining in the special needs blog hop. I love his smile! 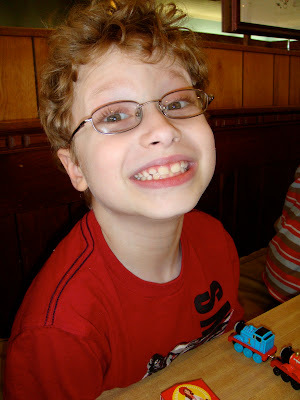 He reminds me of my son, Austin!